блин. да это же панкрок. чо вы мне тут впариваете? Никто тебе тут ничего не впаривает. Панк рок так панк рок, мимо проходи. Helmet и Entombed явно повлияли,отличный альбом! 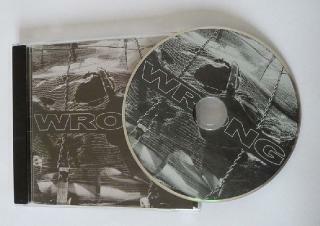 Miami noise rock/alt metal powerhouse WRONG has just completed their sophomore full-length entitled Feel Great. The album was self-produced by the band and recorded at various studios / locations around Miami and was mixed with Jonathan Nunez of TORCHE at Cabana East in Los Angeles. Artwork will be handled by TORCHE’s Rick Smith. Feel Great will be released in early 2018 via Relapse Records. “We wanted to push ourselves a little more on this record; faster, heavier. The angry parts are angrier, and the melodic parts are more melodic. We like having a good mix of moods.